Beautiful and relaxing aquarium view. 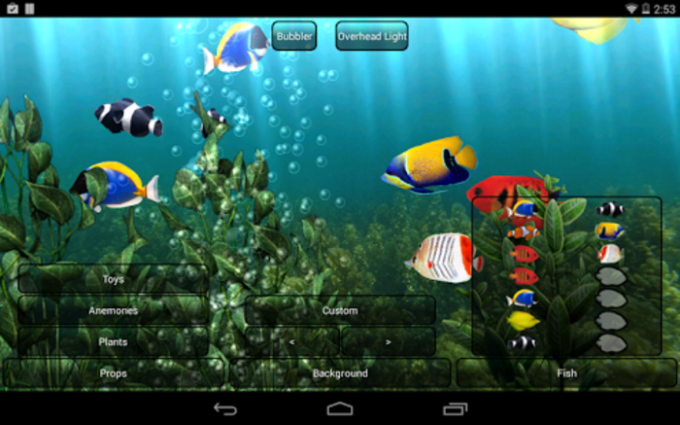 A free program for Android, by SubhanMobile Free Live Wallpaper. 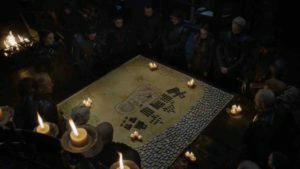 A full version program for Android, by Deeko Games. 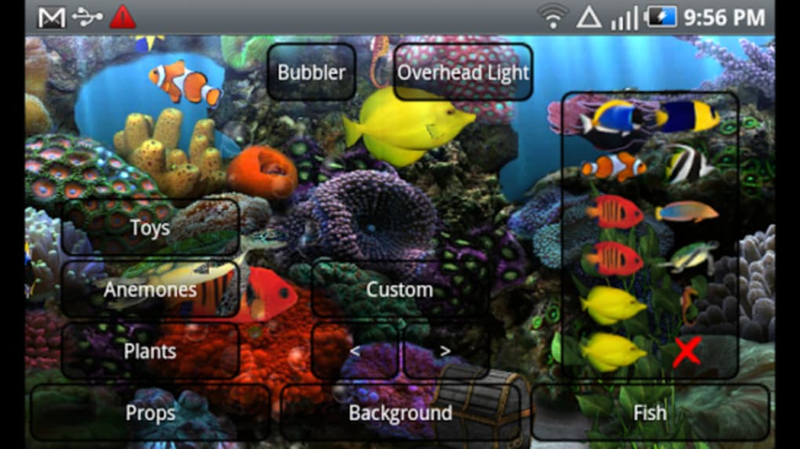 3D Clownfish Live Wallpaper shows beautiful colorful clownfish in aquarium on the screen of your mobile phone. 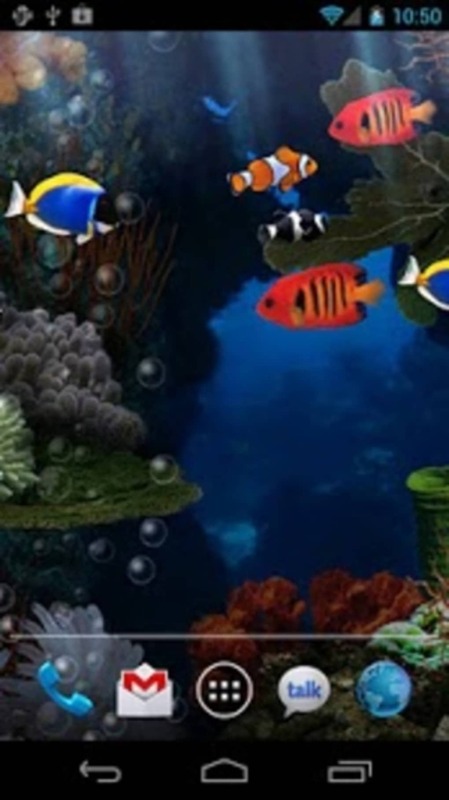 Aquarium Live Wallpaper is an animated wallpaper for Android phones that puts a relaxing aquarium as your device's background. 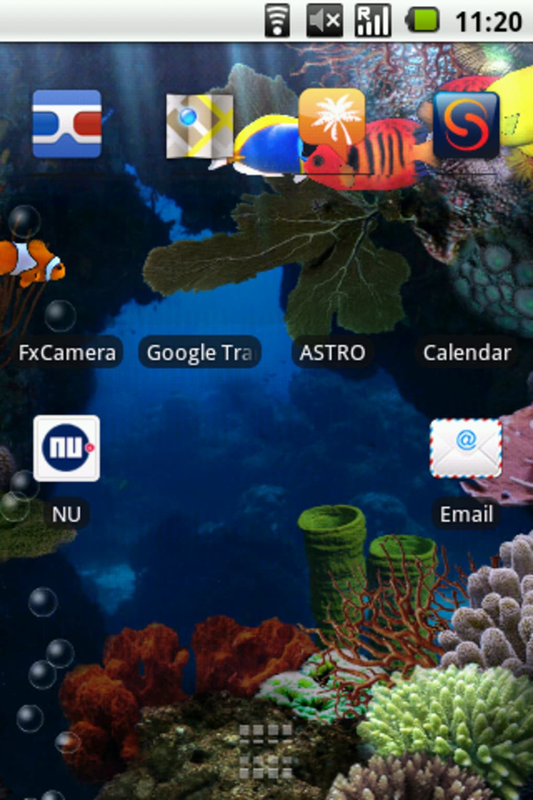 Watching fish swim is very relaxing, and Aquarium Live Wallpaper is a great stress buster for this reason. 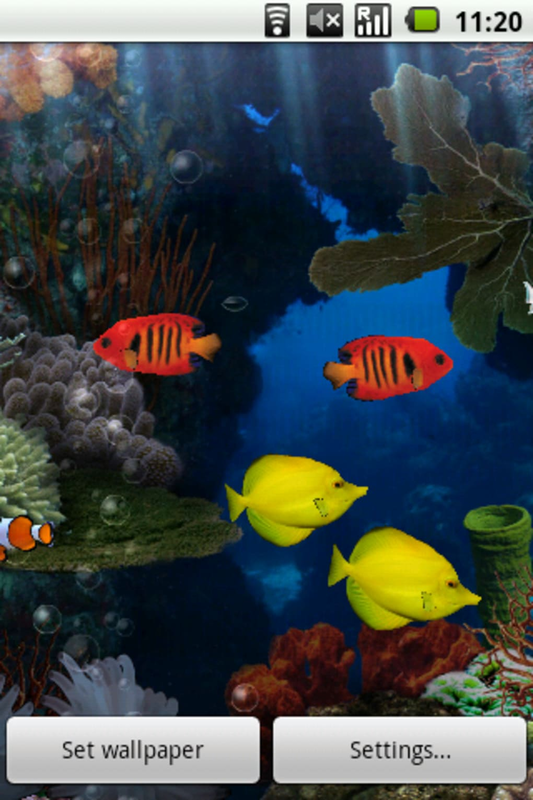 The animated wallpaper features several different types of fish, including the clown fish and the angel fish. 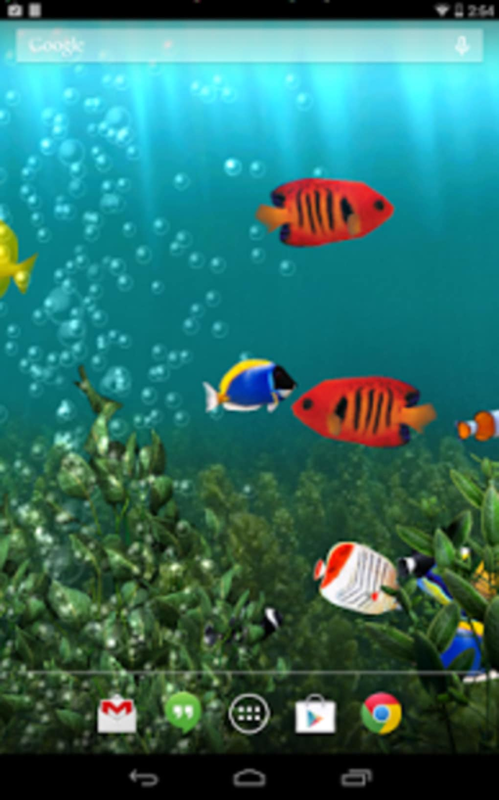 The animation is well done, and includes nice details such as bubbles and swaying coral. 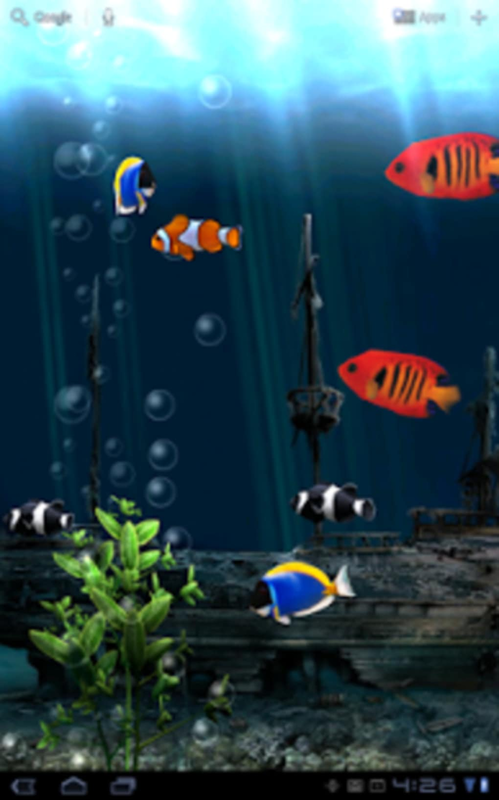 This free version of Aquarium Live Wallpaper has several options that you can change. 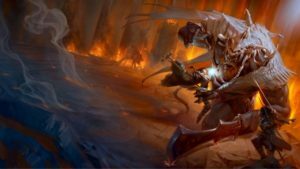 You can choose which types of bubbles you want, personalize the scenery, and select from different lighting effects for the tank. Although the Aquarium Live Wallpaper ran smoothly on both the Samsung Galaxy SII and the HTC Sensation during our tests, you may find some lag on the home screen on other devices, if user reviews on the app's Android Market page are anything to go by. 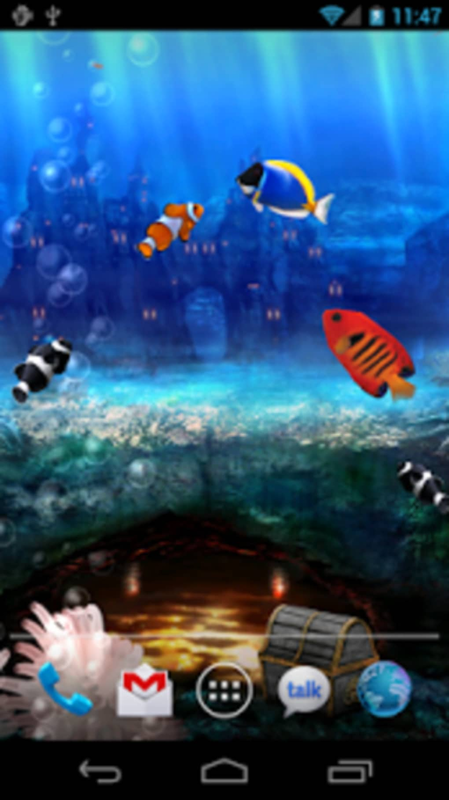 If you're look for a gentile and relaxing new look for your Android phone, Aquarium Live Wallpaper is a great choice. 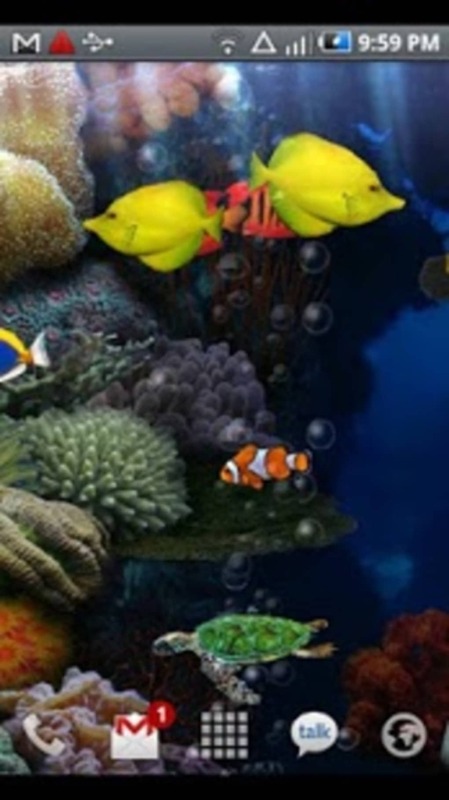 What do you think about Aquarium Live Wallpaper? Do you recommend it? Why?